Networking Breakfasts will be held on the first Tuesday of each month from 8 a.m. to 9 a.m. Located in Cuchulainn’s Irish Pub, 158 Queen St. South. Plenty of free on-site parking is available. Topic: As a small business owner, you may not know what products are available to you. Knowing how to protect your company, your employees, and your loved ones is important. Unfortunately, Cataphoric events happen every day, adding the protection is what all profitable business owners should do. Topics to be discussed: Employee Group Benefits, Life Insurance and Critical Illness. 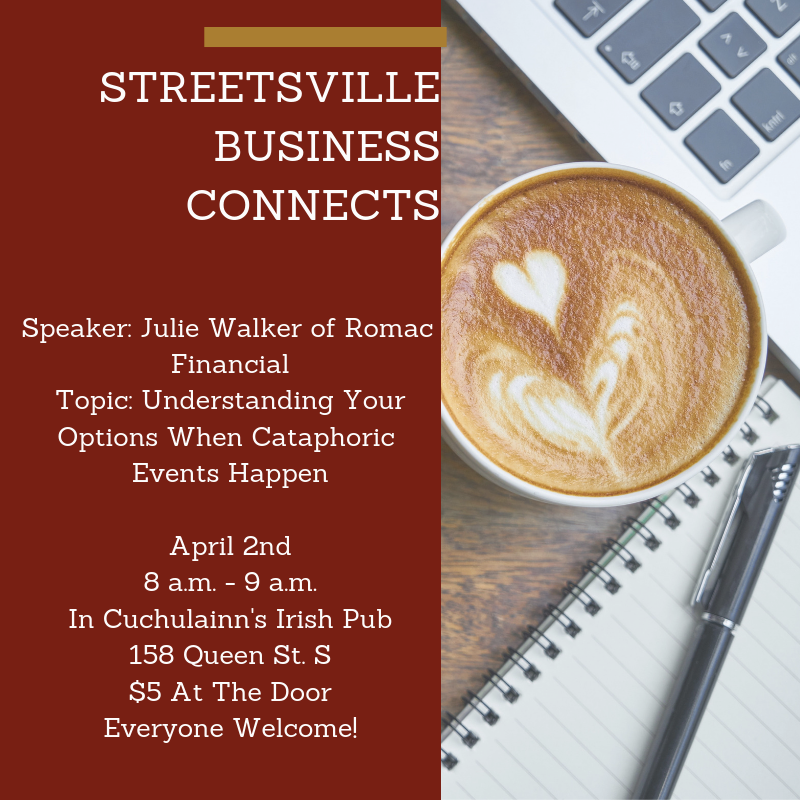 Julie Walker of Romac Financial will provide an overview to some options available to you. With over 20 years’ experience in the Life Insurance/Group Benefits industry, Julie brings a unique approach to providing solutions that work!